Bathurst’s annual shareholder meeting took place on Friday morning, with activists holding their own, alternative shareholder meeting. Our press release, and images are below, but meanwhile the board meeting itself produced some interesting results: Bathurst is so strapped for cash that it has had to lay off board members. It is still waiting for international coal prices to rise, but we don’t think this is going to happen any time soon. Over in Australia, coal giant Glencore has even stopped mining for three weeks: paying its 8000 workers holiday pay is cheaper than digging cheap coal out of the ground. Here’s our Press Release and pix of the action. 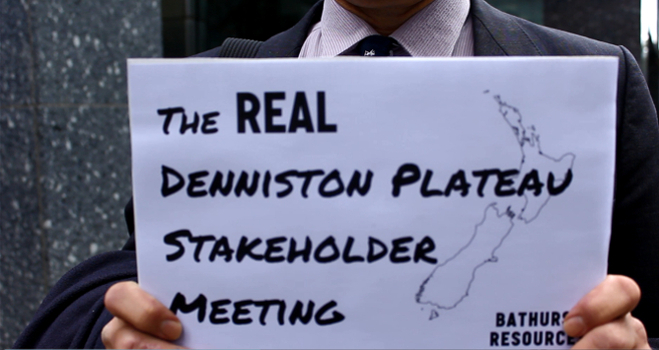 Local and national advocacy groups staged a street-theatre style “stakeholder meeting” this morning in Wellington, billing it as an alternative to the AGM of coal mining company Bathurst Resources, for the real stakeholders in Bathurst’s coal expansion plans – New Zealanders. Their aim was to call attention to the high stakes of Bathurst’s coal expansion plans for climate change and the environment, with Bathurst planning to open the largest new coal mining project in New Zealand, starting with their highly contested Escarpment mine on the Denniston Plateau. 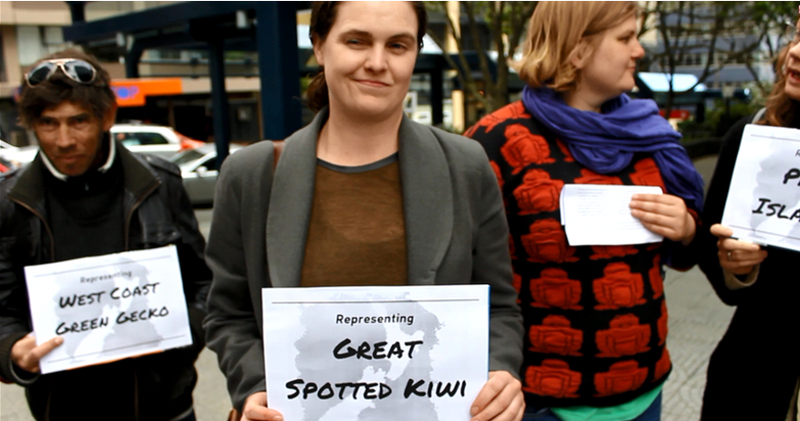 “Bathurst executives are prioritising profit for themselves and a small number of shareholders, but the reality is that as New Zealanders we’re the ones who have the bigger stake in their plans”, says Ashlee Gross, spokesperson for 350.org Aotearoa who helped organise the event alongside Coal Action Network Aotearoa (CANA) and Oil Free Wellington. 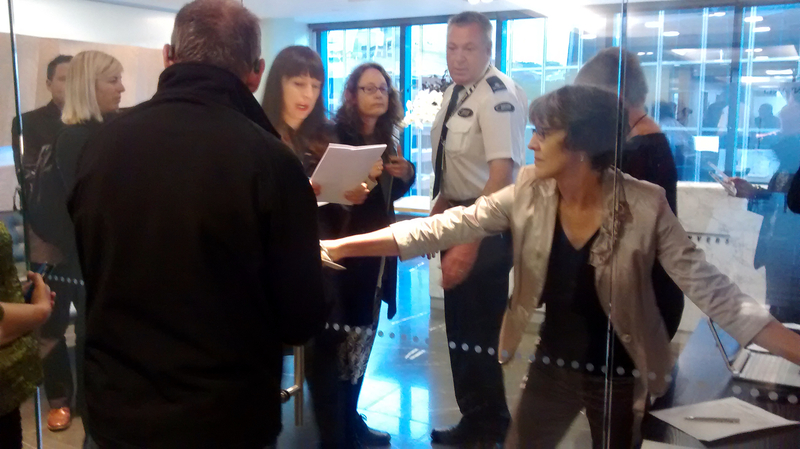 The group started their “stakeholder meeting” in the lobby of Minter Ellison Rudd Watts where the Bathurst AGM was being held, to catch the attention of shareholders arriving for the meeting. A spoof Bathurst Director was asked questions by participants and gave humorously honest answers about the contradiction between their expansion plans and the scientific consensus that the world needs to be rapidly transitioning away from fossil fuels in order to keep global warming to 2 degrees C, and on the impacts of conservation land on the Denniston Plateau. 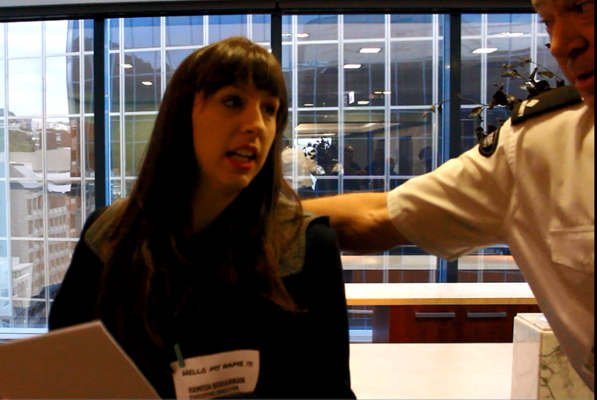 On being asked to leave they went down to the sidewalk where they completed the performance for people on their way to work along The Terrace, interacting with shareholders arriving at the Bathurst meeting. “Bathurst are getting a free ride on not paying for their CO2 emissions, so want to increase the amount of coal they are mining by more than 6 times per annum, but all New Zealanders, especially young people and our grandkids to come, and people around the world including our Pacific Island neighbours – if we let them go ahead we will have to pay a cost for that.” Says CANA spokesperson Cindy Baxter. Bathurst Resources faces other significant challenges to their mining expansion plans, as international coal prices are currently too low for them to profitably sell coal from their flagship Escarpment mine on the Plateau, leaving their finances highly constrained. 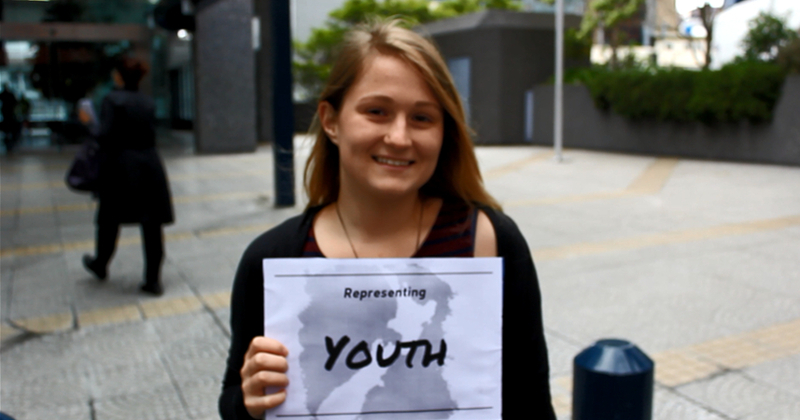 This has been highlighted for the past year by CANA and 350.org Aotearoa as they are also asking Westpac bank to call in their loans, which provide key financing to Bathurst, in order to put financial pressure on them to stop expansion plans in a similar manner to several major banks recently announcing they won’t finance the Abbot Point coal port expansion in Australia. More images on 350.org’s facebook page. What a fine example of witty creative non-violent protest! On 11th Nov I made an oral submission to back up my earlier written one that gave me the right to be heard by the DMC of the EPA’s OMV offshore oil & gas mining – 80km off South Taranaki – under the new investor-friendly EEZ & CS (Environmental Protection) Act. What a learning experience in weasel words! In arguing that the “adaptive management” mandated by the Act should be instead a Precautionary Approach given the threat to a “critically endangered species”(www.mauisdolphin.com), I was advised ” Mauis Dolphin is not a species. It is a sub-species. It is a population”. Because climate change is explicitly written out of the Act, I argued from an “evaluative” rather than an “assessment of the (operational) technicalities. So I framed my submission on ethical change in the “Social Licence to Operate”, pointing to the social facts of the divestment campaign. The OMV Maari decision is a Mauis Dolphin decision and a policy decision, given the weasel draughting of the EEZ (2012) Act, designed to pre-empt challenge of the privilege of the Exclusive Economic Zone property right on the basis of the biodiversity protection that under International Convention of law of the sea demands as a condition of the EEZ privilege.